This is a photograph of the Sacred Heart Academy, a Catholic grade and high school, located on the southwest corner of Juliette and Pierre Streets in Manhattan, Kansas. 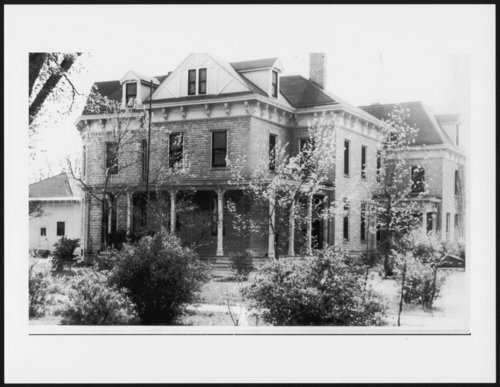 The house was originally owned by Col. John Anderson, a U. S. Representative and president of Kansas State University. The white frame building in the background was moved to the south of the Academy building and used for additional classrooms. The school was demolished in 1960.